Stevia is gaining in popularity as a natural sweetener. This natural alternative to sugar has been used for decades in countries such as Japan with little reported side effects. But, be aware that like with anything, there are some dangers and side effects to keep in mind when using this sweetener. Native to subtropical and tropical South America and Central American, stevia is an herb extract with about 300 times the sweetening power of sugar. Widely used throughout Japan as a sweetener, stevia is now available in the United States and Canada as a dietary supplement, but not as a food additive or sweetener. There are several benefits that make stevia an attractive alternative to sugar such as helping alleviate high blood pressure and enhancing a person's glucose tolerance. It also is ideal for diabetics and others who may be on a carbohydrate-controlled diet. All of these with medicinal benefits notwithstanding, scientific reports have shown that the extract stevia may also be harmful when consumed. 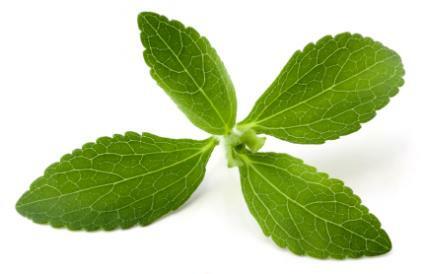 There are several medicinal problems associated with stevia. Those who are pregnant or planning on becoming pregnant should discuss using stevia with their doctor or skip using it all together. There have also, at least in preliminary studies, been links to cancer. In the lab, steviol can be converted into a mutagenic compound. This, in turn, may promote cancer by causing mutations in the cells' genetic material, or DNA. Scientists are divided on the issue of the cancer link, and remain adamant that further testing, studies, and reviews need to be conducted in order to resolve the issue. Studies conducted by the Center for Science in the Public Interest indicate that large amounts of stevioside can interfere with the absorption of carbohydrates in animals and disrupt the conversion of food into energy within cells. Scientists are particularly worried about this development, especially as it pertains to children. These side effects are not serious and only last a short duration if at all. If you experience anything unusual with using stevia, it is always wise to contact your physician. Despite all of the scientific evidence, both positive and negative, no clear agreements have been drawn about the dangers of stevia. Stevia has been in wide use in Japan for the past 30 years, and to date, no evidence of any adverse reactions have surfaced during this time. After maintaining for some time that stevia is an unsafe food additive, the Food and Drug Administration has changed its ruling. 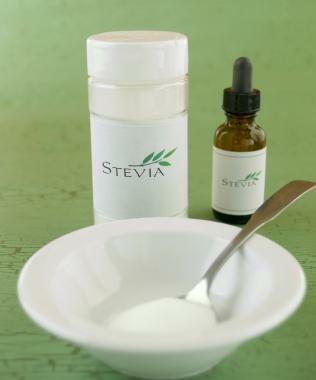 The FDA's former position on stevia maintained that the toxicological information on stevia was too inadequate to determine its safety for consumption by the general public. It currently maintains that "certain refined Stevia preparations" may be used in food products sold in the United States. Whether stevia is safe or not has yet to be determined, but if you choose to use it as a sweetener, remember that it is much sweeter than sugar. Always consult your doctor before trying an herbal product, since these remedies may interfere with medication or health conditions.